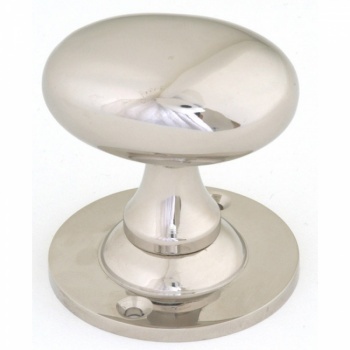 These unsprung, solid door knobs are not hollow and therefore have a excellent heavy quality feel. They have loose roses to enable use with a rim lock (discard one rose) or can also be used with a mortice lock. Comes with a threaded spindle to take adjustment for various door thicknesses and locks firmly in place with a grub screw. The grub screw should locate on the 'v groove' in the shaft of the spindle and not on the threaded part. 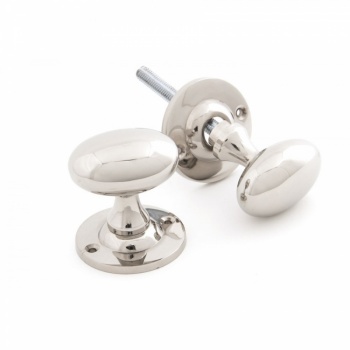 Each set comes complete with fixing screws, which are concealed for improved appearance, together with two escutcheons. For best results the centre of the knob should be a minimum of 3" from the edge of the door so as not to catch your knuckles on the door frame when opening. Heavy Duty latches 4" or 5" are recommended for this.